Murcia is called the orchard capital of Europe because of its agricultural tradition of harvesting flowers, vegetables and fruits. It’s no coincidence that a lot of the restaurants incorporate leafy greens and herbs to their dishes. With its mild Mediterranean climate and healthy cuisine, Murcia is a must-stop visit for foodies looking to savor the freshest ingredients of Iberia, and a vegetarian paradise to boot! La Mafia is a classic Italian restaurant that creates a unique fusion of flavors with typical Mediterranean cuisine. Located in the heart of Murcia, the trendy ambiance and the chic décor here make for an unforgettable lunch or dinner out while visiting this historic Spanish city. Watch out for “Pasta Tuesdays”, when all pastas are offered for a steal at only 9 euros apiece! La Mafia also counts a bar and a cafe for those looking for a less formal atmosphere as well as a special play zone for the kids. The exquisite raspberry cheesecake is a delicious dessert, and well worth sampling after a main. Watch out for: Pasta Tuesdays! Get a taste of real Japan in the city center of Murcia at this extraordinary sushi restaurant. Spanish chef Antonio Berna’s obsession with Japanese gastronomy inspired him to open Enso, and today he remains deeply committed to creating an authentic representation of what it’s like to order sushi and sashimi halfway across the globe in eastern Asia. There are twenty varieties of fish to be tried here and they are all imported from Japan. Enso Sushi is nothing short of exceptional and a great alternative from the traditional Murcian cuisine. Watch out for: The delicious sashimi! This historic establishment has been occupying the same street corner in Murcia since its opening in 1980. Taberna Tipica La Pequena does classic dishes from around the Murcian region best, however, it is the careful elaboration of each and every plate that differentiates La Pequena from other similar restaurants and what has helped secured it a firm spot in the city over the decades. Derived from homegrown Murcian crops, dishes such as the artichoke are not to be missed. Neither is the bodega replete of wines from the region and from around Spain as a whole. Watch out for: The selection of wines! El Jardin de los Dragones is a wonderful addition to Murcia’s culinary scene with its vegetarian-only food menu. In fact, the restaurant is both inspired from Murcia’s rich agricultural history and Thai and Japanese cuisine alike, to create exquisite confections such as the ginger hummus and the lentil salad. This is the perfect destination for those who prioritize healthy eating and quality organic ingredients above anything else. El Jardin de los Dragones also boasts a smoothie and juice bar. Oh, and the carrot cake is to die for! Watch out for: That carrot cake! Upscale dining comes to life at Rincon de Pepe restaurant. Borrowing from classic Murcian cuisine, the cooks here elevate the flavors with imaginative creations that consist mainly of vegetables, greens and fruits. Rincon is located right next to the Cathedral of Murcia and features a large and clean open-kitchen floor plan, a formal restaurant section, and a more casual tapas bar. Go for the tasty paella with vegetables and cod, or for something more traditional, like the Murcian salad or habas con jamon, beans with cured ham. Watch out for: The habas con jamon! Located inside an old casino that was first built in 1847, this one’s fine setting makes it worth visiting on its own. Featuring a menu that combines modern Mediterranean cuisine with traditional Spanish elements, the restaurant’s plates are full of flavor and changed seasonally according to what products are provided by the many gardens of Murcia at the time. This is the ideal restaurant for a very special occasion due to its elegance and timeless beauty. Watch out for: The beautiful setting! Located next to Plaza de las Flores de Murcia, this restaurants operates both a big bar upfront and a small dining room in the back. They deliver with quality in all of their products and prepare them with detailed elaboration and an impressively polished final presentation. El Pasaje de Zabalburu is a trendy place to eat some exquisite tapas, such as croquettes wrapped in crunchy potato strings with warm and molten ham inside. Delicious through-and-through! Watch out for: The immaculate presentation! You’ll find this traditional restaurant in the popular cathedral area of the city. This is the place to go for those looking to try classic Murcian fare done with quality and style. Start off with the irresistible goats’ cheese salad or the red tuna tartar as an appetizer and then proceed to order the sirloin with caramelized mustard for the main course – you won’t be disappointed! What’s more, La Barra de los XII is a throwback to the good old times, when conversation was just as important as the meal when dining out. Watch out for: The sirloin with caramelized mustard! Pizzeria Vianco is located in the city center and close to Tres Copas park and offers a combination of classic Italian and Spanish pizzas. This fine Italian establishment also has an extensive pasta menu with varied offerings and an abundant amount of options for vegans as well. Pizzas such as the Baroque or the Mallorquin and the fresh tagliatelle pasta with sun sauce are great examples of what Vianco does best. 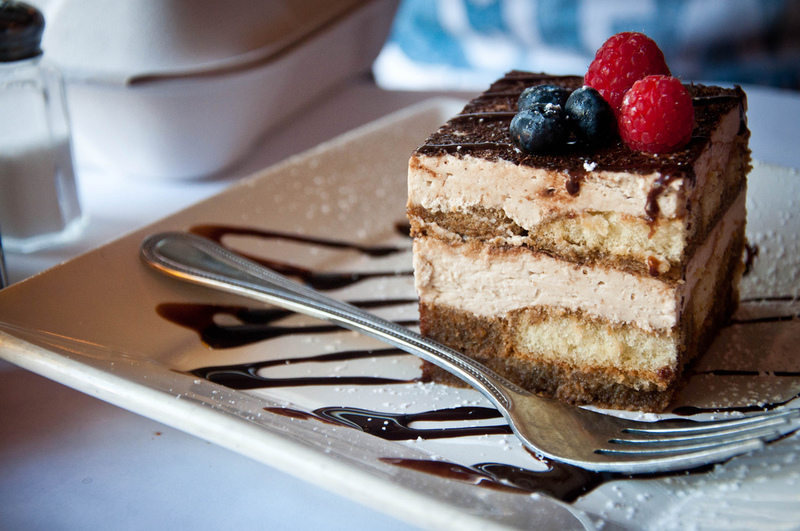 End the meal with the decadent tiramisu or the nutella pizzetta. Time to indulge! Watch out for: The Mallorquin pizza! La Parranda offers excellent traditional Murcian gastronomy by the lovely plaza of San Juan de Murcia. Chef Pepe Guillen handpicks natural and organic ingredients for his dishes on a daily basis. Some of his creations include goats’ cheese salad with sweet tomato jam and the classic Spanish croquetas. The ambiance breathed in here could be found across many restaurants around Spain due to its rustic charm and homey feel. La Parranda also boasts an acclimated terrace perfect for enjoying a fine meal under the Mediterranean blue skies or a bright blanket of night-time stars. Watch out for: That lovely acclimated terrace!